Carol will be remembered for her extreme devotion to her family, her passion for local sports teams and her magnetic personality paired with a caring and giving nature. Carol Templeman, born Carol Nagako Yamashita on Dec. 16, 1938, passed away on Oct. 15, 2016. She was 77. 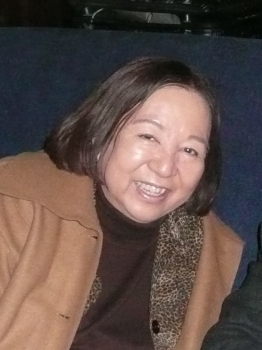 Carol was the daughter of Frank and Pauline Yamashita of Seattle, was the older sister to David and Gary and was mother to four sons - David, Steven, Dan and Jason. People from near and far were attracted to her personality, her boisterous laugh and her joy for life: from the time she was 4 and playing with other little children imprisoned with their families at a relocation center internment camp in Minidoka, Idaho; to her very active and popular days at Franklin High School in Seattle where she was elected class president by her classmates; to her commitment toward coordinating and having large gatherings of friends/family at her home in Lake Stevens; to her attendance at all things sports and/or activity related for her boys and grandkids; to her final days expressing her strong inner fire and love for life and family to the nurses at Providence Hospice and Home Care in Everett. And yes, her ability to change a room the second she entered it. “She made everyone feel so good when they were around her,” remembered Barb Dahl, Carol’s best friend for more than 66 years. In the spring of 1942, when Carol was 3, the family was moved to the Minidoka Japanese internment camp in Idaho. It was there that Carol established herself as a “people person” often playing and leading the activities with other imprisoned children at the camp, recalled her brother David, who said it never changed after that. After being released from Minidoka, the family moved near Anderson Dam in Idaho, where father Frank worked for about 3 years. The family then moved back to Seattle, where Frank became the first Japanese-American to work at Boeing after the war. Carol attended and graduated from Franklin High School (class of 1956) before heading to the University of Washington, where she met her future husband Henry Templeman. Henry and Carol married on March 15, 1962. They had four boys - David, Steven, Dan and Jason- and Carol resided in Lake Stevens from the early 1970’s until her final days. Carol lived on the lake and loved to look out over it in the morning and evenings. Cooking was among her many passions in life, and she owned and operated Carol’s Catering for before moving on to a nursing career. She worked at General Hospital (now Providence) in Everett in both the ER and psych ward, in a career that spanned nearly 20 years. Carol also loved to give gifts to those she cared about. Clothes, jewelry, food, candy and candles were just a few of the offerings she loved passing on to her friends and family. And many will remember Carol for her loud and boisterous outbursts at her children’s and grandchildren’s sporting events and activities. She looked so forward to attending, cheering and yes, giving the officials/referees/umpires an earful. It wasn’t much different when she would watch “her” Seahawks, Huskies and Mariners on TV. She was one of a kind, but most of all, she cared deeply about her family and friends. Carol is preceded in death by oldest son David, former husband Henry, father Frank and mother Pauline. She is survived by sons Steven (and wife Joanne), Dan (and wife Kristle) and Jason (and wife Mindy); grandchildren Ashley, Richard, Steven, Jordan, Drew, Bryce, Hayden, Brady and Colby; great-grandchildren Brooklynn and Trinity; brothers David (and wife Marianne) and Gary (and wife Judy). Memorial donations can be made to the Providence Hospice of Snohomish County.